Visit Cabrillo Marine Aquarium in San Pedro California! The marine life at Cabrillo Marine Aquarium is all from southern California. Since 1935, the aquarium has been exhibiting So Cal's rich diversity and adaptations of its local sea life through a combination of aquaria, museum collections and interpretive displays. Visitors of all ages can pursue informal marine biology education, scientific research training and ecological awareness. These topics are made fun by the informative and creative exhibits in the Virginia Reid Moore Marine Research Library, the Aquatic Nursery, the Exploration Center and the Susanne Lawrenz-Miller Exhibit Hall. For a fantastic display of photos of the Aquarium, click here. 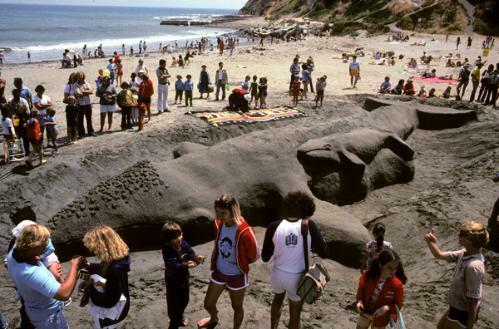 Cabrillo Coastal Park is just steps away from the doors of the Aquarium. Here you can check out tidepools, beaches, walking trails and a saltmarsh. Low tides are the best time to explore the tidepools for Cabrillo Beach. There are picnic tables, a restroom, a fishing pier and a boat launch ramp. You literally could spend all day here. This Aquarium operates on a suggested donation of $5 for adults and $1 for children and seniors. Cabrillo Aquarium qualifies as one of the attractions listed for the GoLosAngelesCard. Its a discounted sightseeing pass, might be worth checking out if you plan on seeing more than one attraction. Or visit my San Pedro page where I have four hotels listed that you can click on to check prices, read reviews and see what other travelers have to say about each hotel. 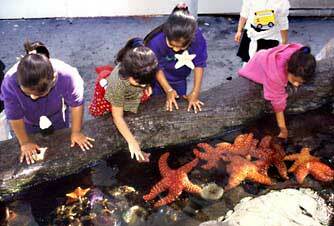 For other things to do in San Pedro while visiting the Aquarium, check out the San Pedro page. You'll find about eight other fun and interesting places that you can click on to read more about them and where they are located.